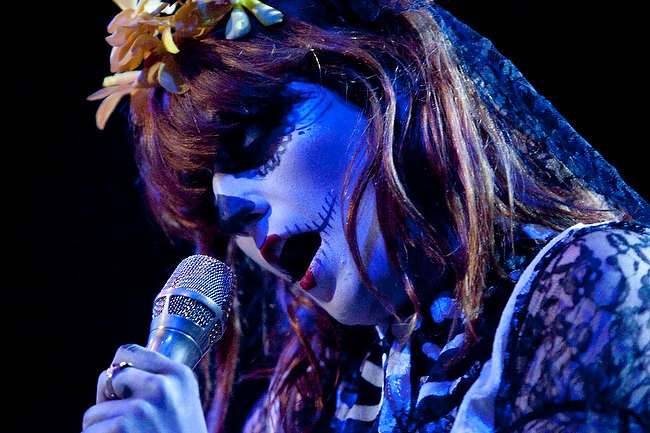 In case you don’t recognize the reference in the title of this post, it’s the title of the Top 40 single from the band Florence and the Machine, who I had the opportunity to photograph for the Herald on Halloween night. 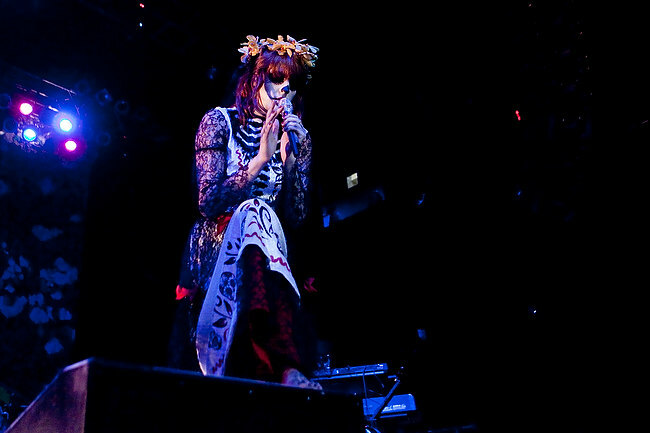 Wasn’t really sure what to expect, as I was really only familiar with their single, but it was a pretty cool show, with the entire band in costume as skeletons. 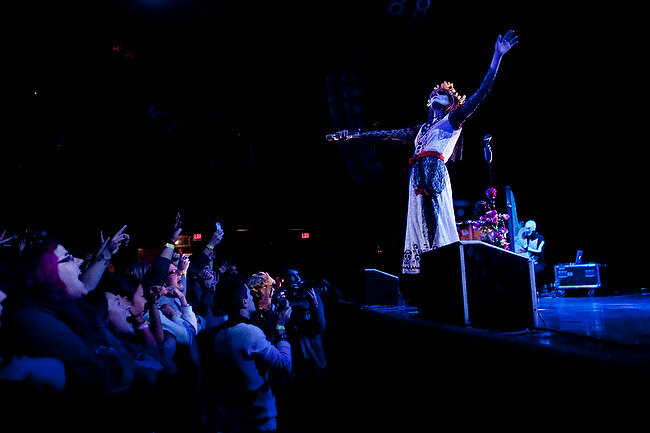 10.31.2010 — BOSTON — Florence Welch of Florence and the Machine performs at the House of Blues on Oct. 31, 2010. 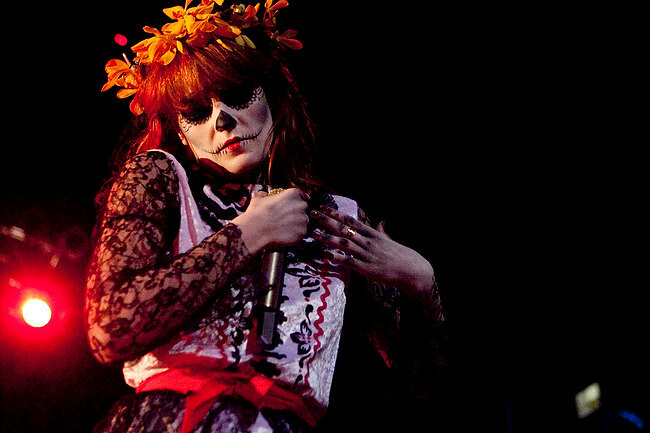 10.31.2010 — BOSTON — Florence Welch of Florence and the Machine performs a Halloween show in costume at the House of Blues on Oct. 31, 2010. 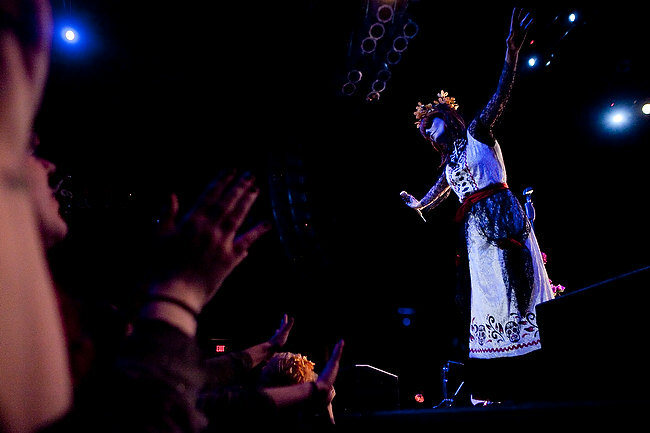 Would have been nice to be a fly on the wall on that production set, eh? Continuing with my recap of assignments chasing down actors and celebrities with the ladies of the Boston Herald’s Inside Track, here’s another event from Wednesday night where I got to see, live and in person, the coolest cake outside of Ace of Cakes. Cast members of Mel Brooks’ “Young Frankenstein” were treated to a cake replica of the title character’s famous monster at their Opening Night cast party at Teatro restaurant on Tremont Street. This thing was pretty sweet, lighting up and sitting up at the flick of a switch — they even had two dedicated engineers to make the thing move! I don’t know about you, but I typically don’t eat motorized food. Pretty sure the cast knew who the real star of this party was… Very cool stuff! 4.21.2010 — BOSTON — Cast members of "Young Frankenstein" gasp as they see a cake replica of the star monster sit up at a cast party at Teatro restaurant. The cake was designed and made by master chef Jorg Amsler and assistant Jennifer Santos, with engineering provided by Judy Lee and Adam Vollmer. 4.21.2010 — BOSTON — Roger Bart, who plays the title character in "Young Frankenstein," cuts into a cake replica of the star monster, who is played by Rye Mullis, left, at a cast party at Teatro restaurant as cake engineer Judy Lee, right, looks on, on April 21, 2010. The cake was designed and made by master chef Jorg Amsler and assistant Jennifer Santos, with engineering provided by Lee and Adam Vollmer. 4.21.2010 — BOSTON — The cast of "Young Frankenstein" was treated to a cake replica of the star monster, with entrails and eyeballs as side orders, at a cast party at Teatro restaurant on April 21, 2010. The cake was designed and made by master chef Jorg Amsler and assistant Jennifer Santos, with engineering provided by Judy Lee and Adam Vollmer. 4.21.2010 — BOSTON — Roger Bart, who plays the title character in "Young Frankenstein," and Rye Mullis, left, who plays the star monster, go in for a closer look of a cake replica of the monster at a cast party at Teatro on April 21, 2010. The cake was designed and made by master chef Jorg Amsler and assistant Jennifer Santos, with engineering provided by Lee and Adam Vollmer.